New, aftermarket Rope Seal Housing Gasket for sale with a solid manufacturer warranty. 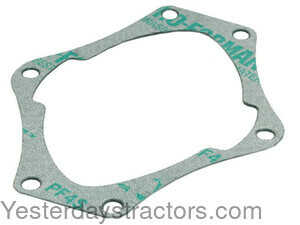 In addition, we have a generous 30-day return policy if this Massey Ferguson Rope Seal Housing Gasket for Massey Ferguson 135, 148, 150, 154-4, 20, 203, 205, 20C, 2135, 2200, 230, 235, 240, 245, 2500, 254, 254-4, 30B, 30D, 35, 35X, 40, 50, 65 tractors needs to be returned for any reason. Please see our Parts Warranty and Return Policy links on your left for complete details before returning.